It’s only a few days into the new year, and already our event calendar is filling up fast. 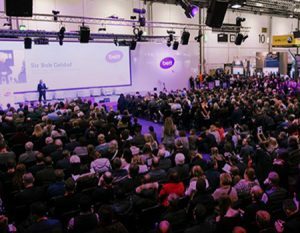 At the end of January we’ll be heading to London’s ExCeL centre for the BETT exhibition, bringing together the best of educational technology under one roof from the 25th to the 28th of January. On Wednesday the 25th at BETT, our co-founder Seb Francis will be representing Titus Learning as part of a panel discussion on Exporting Innovative Management Information & Learning Systems, which will take place at the DIT International Trade & Export Theatre. How to pave a route to market: challenges and opportunities? What are the best ways to create a strategic marketing plan in order to thrive overseas? For more information on the session, please view Seb’s profile page on the BETT website. On February 28th, we’ll be travelling to Salford, where we’ll be exhibiting at the Academies Event 2017 at Adelphi House. The event will centre around what the future holds for existing academies and schools considering converting to academy status, as well as discussing recent developments in the education sector. The line up of speakers is equally interesting, featuring DfE National Schools Commissioner, Sir David Carter and the Chief Executive of the National Governors’ Association, Emma Knights, among others. If you’re heading to either of these events and would like to arrange a time to speak to one of our team, please get in touch.